Brooker, Graeme and Stone, Sally, 2018, Book, rereadings 2: Interior Architecture and The Principles of Remodelling Existing Buildings RIBA Enterprises, UK. ISBN 9781859465813 Item availability may be restricted. Brooker, Graeme and Stone, Sally, 2017, Book, Re-readings: Volume 2. 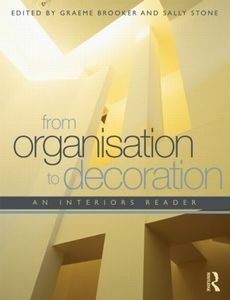 Interior Architecture and the Principles of Remodelling Existing Buildings RIBA. ISBN tbc Item not available from this repository. This list was generated on Thu Apr 25 10:45:32 2019 UTC.